During the month of September, members of the SILK Software Team attended and led sessions at a variety of eCommerce events in China to share insight into what BigCommerce can bring to businesses and the B2B/B2C solutions that can help them grow to the next level. These events included the 2017 PayPal eCommerce Annual Meeting held on September 6 and the 2017 Google eCommerce Summit held respectively on September 11 and 18. With hundreds of merchants in attendance at each event from various industries including electronics, furniture, costumes and accessories, SILK spread awareness of the BigCommerce features and functionality merchants could utilize in correspondence with the specific needs of their brands and businesses. 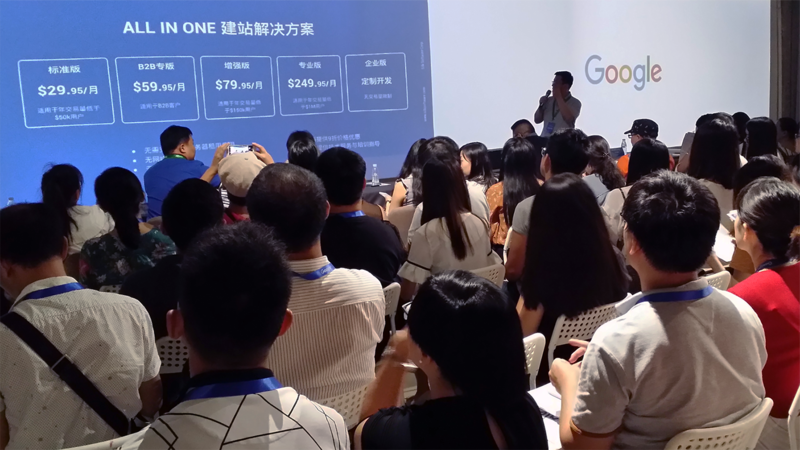 SILK’s CEO, Dong Xu, was also present at the Google eCommerce Summit as a featured speaker to share his insight on eCommerce trends and to address any questions merchants had firsthand about how they can partner with SILK and BigCommerce for their B2B or B2C needs. Topics discussed included international business, independent site building, and more. SILK looks forward to continuing to provide merchants and clients with customizable solutions with BigCommerce and sharing the latest eCommerce features and insights.